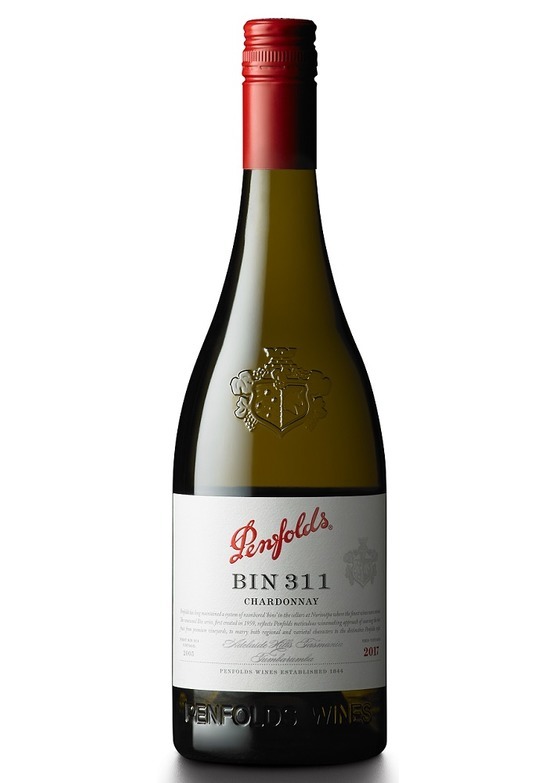 Bin 311 Chardonnay truly reflects the winemakers' mantra 'we always go where the fruit grows best and where it best suits style'. In 2017, the fruit sourcing has moved to cool-climate multi-regional; Adelaide Hills, Tasmania, Tumbarumba. In true Bin 311 style, it exhibits lemon/lime aromas and a mineral acid backbone, complemented by barrel fermentation and maturation in French oak. Fresh and inviting - complexed by yeast lees-derived nougat and ground pistachio/almond/roasted chestnut. A very lively palate of freshly sliced cucumber and lime citrus flavours hovering over a soft and succulent acid underpinning.